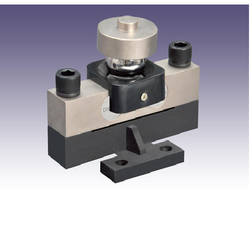 We have emerged as a leading names occupied in offering of superior quality Weighbridge Load Cell. Widely used in dynamic weighing machines, the offered load cell is perfect for providing fast and precise result. The offered cell is used in railway industry for weighing of heavy loads. The provided cell is manufactured using excellent quality raw materials and advanced techniques under the supervision of our dexterous professionals in line with the set quality standards. Looking for Weighbridge Load Cell ?